“Shocking” is the word used by one of the FSU research coordinators who worked on a study to see how distracted a person can become when they get a notification on their cell phone. FSU researchers suspect that upon getting a notification – even if the recipient lets it go and does nothing else – the recipient, knowing that they missed a call or have a text message waiting for them, shifts their attention to what they may have missed and momentarily stops focusing on the task at hand. FSU called its study “The Attentional Cost of Receiving a Cell Notification.” The first study of its kind, it has now been published in the Journal of Experimental Psychology: Human Perception and Performance. During the study, researchers were shocked to discover that merely receiving a notification but not responding can be just as distracting as actually answering the phone or replying to a text message. While many public safety campaigns simply advise drivers to “ignore” phone notifications while driving and wait until later to respond to messages and calls, the results of the FSU study suggest that may not be enough to avoid distraction and that the safest practice would be to turn off cell phones while behind the wheel. Even a slight distraction while driving can lead to devastating consequences. The problem has become so common that after an accident, one of the first questions now being asked it whether any of the drivers had been using their phones, GPS systems and other devices. The attorneys at Heintz & Becker strongly advise everyone to take heed of the results of this latest study and TURN OFF your phones and other devices while driving. 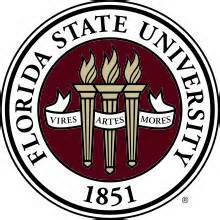 We also wish to thank the researchers at Florida State University for their important work and the potentially lifesaving information coming out of their study. We encourage you to contact the accident attorneys at Heintz & Becker if you or a loved one has been injured in a motor vehicle accident involving a distracted or impaired driver. Our attorneys are available to consult with you about your case and will provide a free analysis of your claim and rights to seek compensation for your injuries and damages.